Coach Ayisha is a Certified Coach Trainer (CCT), Life Coach (CLC), Transformational Coach (CTC) and Master Relationship Coach (MRC). She approaches coaching using Solution-Focused, Positive Psychology, and Neuro-Linguistic Programming (NLP) techniques. Coach Ayisha received certifications from Instruction of Natural Healing Sciences (INHS) and International Institute of Coaching Studies (IICS). She has a Bachelor’s in Science, Mathematics, and Technology from the State University of New York, SUNY. She is also a member of the International Coach Federation (ICF). Coach Ayisha is the owner of Universal Coach Center, which is the parent company to Universal Coach Institute. 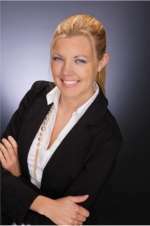 She instructs the Life Coach, Solution-Focused, and Transformational Coach Training Programs. Coach Ayisha was born and raised in New York. She is known for her New York twang and no-nonsense coach training style. She loves coaching and teaching others to coach. She built a successful full-time online coaching business and uses her experience to help other coaches build a successful business. She is the master at training coaches how to create a “Master Coaching Business(TM)”. 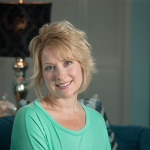 She teaches coaches to establish themselves as an expert, create coaching products, programs, conduct speaking events, and how to leverage from multiple streams of income within their business. 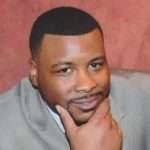 George M. Howard Jr. has over twenty years’ experience as a financial coach and wealth mentor. He is the founder and president of Financial Freedom University and He is the author of the nationally recognized books: “Edit Your Credit”, “From Purchase to Profit”, and “6 Steps to 6 Figures”. He holds a degree in pastorial studies and a degree in Business. Financial Freedom University is an online financial literacy and wealth mentoring school dedicated to moving students from the Land of Not/Just Enough to the Land of More Than Enough. Financial Freedom University has helped eliminate over 77 million dollars of debt while generating over 33 million dollars of cash-flow for students, totaling over 110 million dollars financial turnaround for students. Howard has over six years in radio broadcasting. As the host of the “George Howard Show” a live radio talk show heard in four southeastern states whose mission was to promote financial literacy and economic empowerment. Anita is a Certified TAPN2U Life Coach/Teacher. 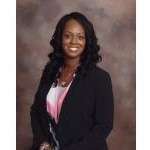 She is the owner of Anita C. Powell, LLC and Director of Engai Creative Thought Academy. Coined the ALC (the Amazing Life Coach), Anita is creator and developer of the TAPN2U Treasure Map Experience and TAPN2U Self Recovery Card Game. Anita’s message is to move beyond positive thinking to simply BE-ing positive and live LIFE from the inside out…to TAPN2U. Along with being a certified Life Coach, she is a Minister, Licensed Massage Therapist, Reiki Practitioner, Certified Aromatherapist, speaker and writer/author. Anita has a Bachelor’s Degree in Metaphysical Philosophy and is currently pursuing her Master’s Degree in this field of study, with the ultimate plan of receiving her Doctorate in Theocentric Psychology. She also enjoys her work as an independent contracting Advocate for Michigan unemployed workers, and continues to volunteer her time, talent and treasure in the Detroit Metropolitan area. 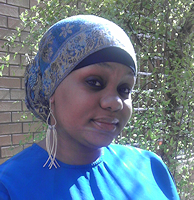 Imani, health coach and herbalist in training, is a bubbly butterfly you have the pleasure of dealing with throughout the registration process for both home study and live online classes. 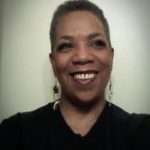 Angela Atkinson is a journalist, author and Certified Life Coach. Along with her solution-focused life coaching experience, Atkinson’s love of writing offers her the unique ability to share a new understanding of how life works for a whole new generation. Atkinson’s publishing resume is vast and varied and includes several years’ experience in online journalism, including hard reporting as well as functioning as an editor in various iterations over the years. In her life coaching practice, Atkinson’s clients enjoy her personalized approach that allows and encourages them to become the best possible versions of themselves and to succeed in doing what they love most. As you can see when you visit the freebies page at QueenBeeing.com, Atkinson’s online daily magazine for women, she’s all about paying it forward. Professional Affiliations Atkinson is a member of the Society of Professional Journalists, including the St. Louis Pro Chapter and the national organization. She is also a a member of the Universal Coach Institute alumni, the St. Louis Writers Guild, the National Education Writers Association and the Freelancers Union. She studied journalism at Eastern Illinois University and earned her life coach certification through the Universal Coach Institute. 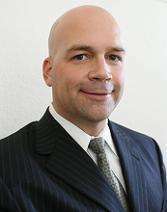 Sean Mize (Internet Marketing Content Contributor) – Sean Mize is an Internet Marketing guru. He is a productivity and coaching expert who teaches coaches how to market their coaching business online, how to create highly optimized email campaigns, and targeted selling. Most of the online marketing training is created by Sean Mize through mp3 audio formats and coaching is provided by Coach Ayisha. Sean started online in January of 2006, experimenting and testing various traffic sources and affiliate revenue programs, and quickly discovered that the real key to success online did not involve buying traffic and sending it to affiliate sites. Sean decided to build his own list of Internet subscribers, discover their needs, and create products to meet those needs. Within just 5 months, he had accomplished a full-time income ($5540 per month) and within one year was generating over $15,347 per month online. Sean is the Internet marketing mentor coach for Coach Ayisha. Through his mentorship, Coach Ayisha took her coaching career to a much higher level. He taught her everything he knows and Coach Ayisha has come together with Sean to teach coaches how to create a profitable coaching business. Coach Mackenzie Pearce (Content Contributor) is a Certified Coach Trainer (CCT) and Master Coach with over 10+ years of Life Coaching and Instruction experience. Coach Mackenzie has a degree in psychology which she used to help create and provide some of the many great coaching resources that you will find in the coaching program and student center.